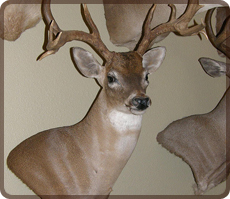 Please consider Anderson Taxidermy & Guide Service, Inc., as a full service provider for both your hunting and taxidermy needs. Don’s knowledge and familiarity of wildlife over the years stems from his personal experience of being a hunter and guide. Having firsthand knowledge and experience of animals in nature, he knows what an animal looks like as well as the proper pose they would exhibit. 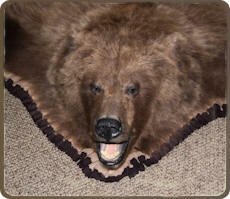 He is discerning and a patient individual with anyone in the field and overly conscientious of quality of workmanship that leaves the shop, unlike some that turn out completed taxidermy so quickly, worked on by anyone who can claim to know how to skin a deer and sew a hide on a readymade form complete with preset eyes. 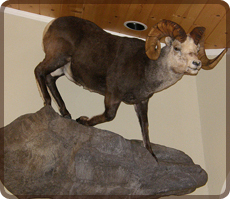 If you want a custom job matched to the measurements of the trophy that you took the time and effort to hunt, which has meaning to you, then you will at the very least want to consider the time that you will live with the mount after you get it back from the taxidermist. Price isn’t everything, the quality and the integrity of the individual who provides the ability to “hold those memories of your hunt in the mount” for you will make a difference and that will be found in the mounts created by Anderson Taxidermy. 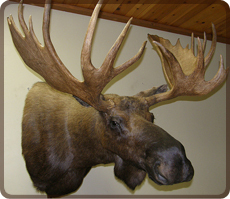 We have been in business since 1977, specializing in big game mounts. 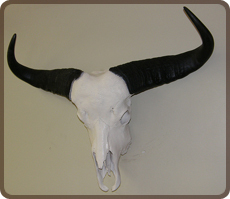 All work is done by Don Anderson so you are assured that the quality will be the same in every mount.